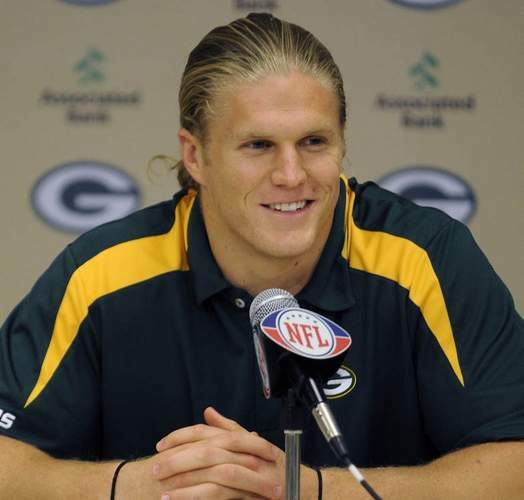 Some thought a franchise rookie record 10 sacks, 3 fumble recoveries (1 for TD), 58 tackles, 35 quarterback hits, 1 forced fumble and 6 passes broken up would have been plenty to get Green Bay Packers linebacker Clay Matthews (pictured) the NFL’s defensive rookie of the year award. But the award instead went to his former college teammate at USC, Brian Cushing of Houston. Cushing was a four-year starter and a second-team All-American last season at USC. He totalled an AFC high 134 tackles, 4 interceptions and 5 quarterback sacks. 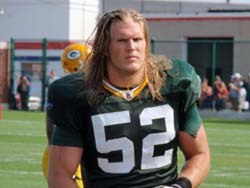 Matthews was overshadowed by Cushing and Rey Maualuga while playing at USC. Buffalo safety Jarius Byrd finished 2nd in the balloting. Matthews deserves the award for the 10 sacks along!